Treat your special someone to a 3 course a la carte Valentines Day dinner at The Flooded Gums Restaurant. All guests enjoy a glass of sparkling or tab beer upon arrival as well as a long stem rose for your partner. 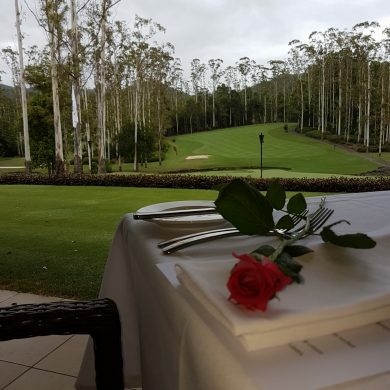 Discover the Flooded Gums restaurant, at Bonville Golf Resort – The Coffs Coast’s finest dining experience.